The newly appointed Secretary of the Independent Corrupt Practices and other related offences Commission, Prof. Musa Abubakar, on Monday assumed office in line with the directive of the Vice-President, Prof. Yemi Osinbajo. However, it was learnt that Prof. Bolaji Owasanoye, had yet to assume office as the ICPC chairman. 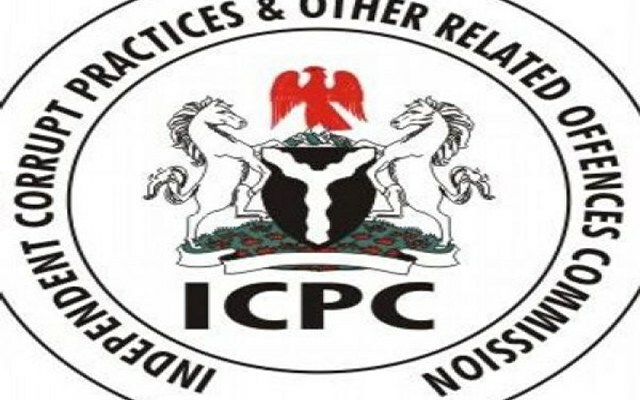 One of our correspondents, who visited the ICPC on Monday, learnt that the outgoing Chairman of the ICPC, Ekpo Nta, who has since been redeployed to the National Salaries, Incomes and Wages Commission, had not yet handed over to Owasanoye. It was learnt that rather than hand over to Owasanoye in line with Osinbajo’s directive, Nta travelled to Vienna to attend a United Nations’ event on anti-corruption which is also being attended by the acting Chairman of the Economic and Financial Crimes Commission, Ibrahim Magu. The newly-appointed Chairman of the Code of Conduct Bureau, Dr. Muhammad Isah, and other members of the bureau, did not resume office on Monday as earlier directed on Friday by Osinbajo who was then the Acting President. The Office of the Secretary to the Government of the Federation had in a statement indicated that Osinbajo directed that the appointees should assume office in acting capacities pending their confirmation by the Senate. Newly-appointed chairmen and members of the National Pension Commission, and the Independent Corrupt Practices and other related offences Commission were also said to have been directed to take over in acting capacities by Osinbajo. Some officials of the CCB confided in one of our correspondents on Monday, that the newly-appointed chairman and members of the bureau were being expected by the heads of various units of the bureau on Monday but none of them showed up in office. “Top officers of the bureau were expecting the new appointees at the head office at the Federal Secretariat in Abuja. But as of 3pm, the new acting chairman and other members of the bureau had yet to resume,” one of the sources, who pleaded to remain anonymous told one of our correspondents. The Head of Press and Public Relations of the CCB, Mr. Idris Mohammed, confirmed to one of our correspondents that the acting chairman, Isah, and others had not resumed. “They did not resume today (Monday). But they will resume soon,” Mohammed said. Other newly-appointed acting members are, Murtala Kankia, Emmanuel E. Attah, Danjuma Sado, UboloI. Okpanachi, Ken Madaki, Alkali, Prof.S. F Ogundare, Mr. Ganiyu Hamzat, Saad A. Abubakar and Vincent Nwanli. Attempts to get comments from the spokesperson for the commission, Mr. Emeka Onuora, were not successful as calls sent to him did not go though while a text message sent to his mobile phone had yet to be responded to.